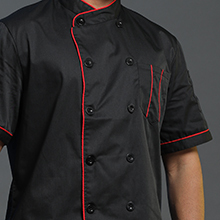 TopTie chef coats are sure to fit your needs. 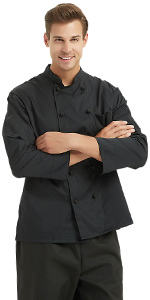 Our chef jackets provide a professional look at a great value. 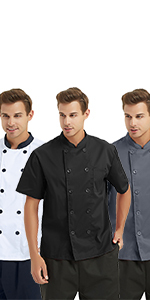 There are many choices when shopping with us, from color choice to chef coat style. 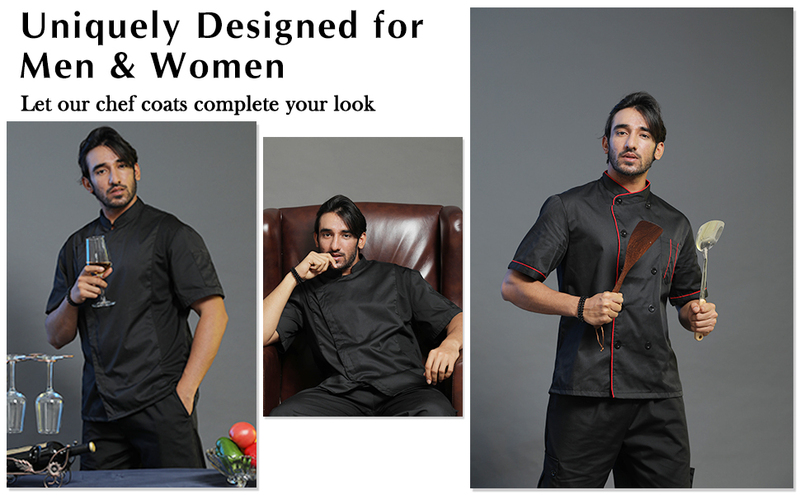 You will find the coats perfectly suited to your work. 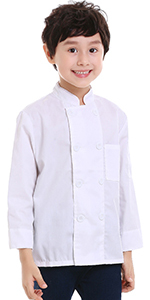 Our classic chef coats are constructed with 65/35 poly/cotton fabric. 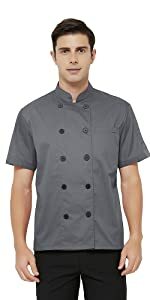 This is a short-sleeve, double-breasted chef coat with matching buttons. 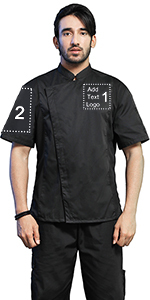 The chef coat has a left chest patch and thermometer pockets. 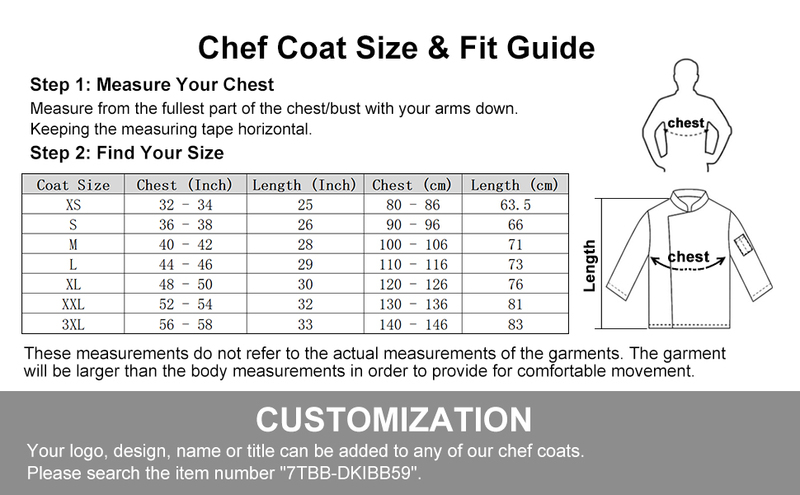 ** These measurements do not refer to the actual measurements of the garments. 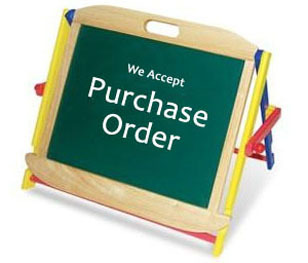 The garment will be larger than the body measurements in order to provide for comfortable movement. ** Chest: Measure from the fullest part of the chest/bust with your arms down. 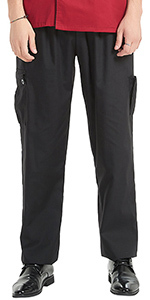 ** Waist: Measure around your natural waistline above the hips. 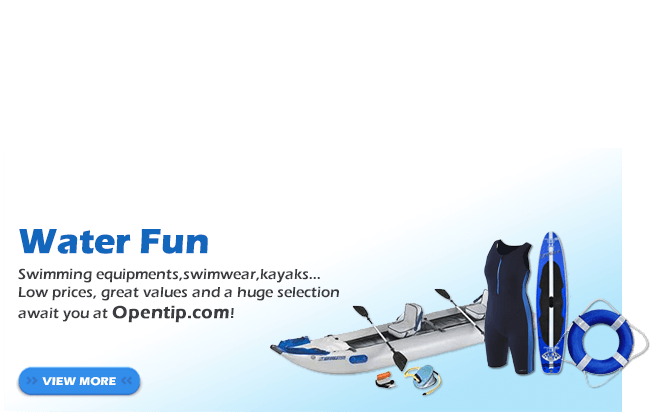 ** Hips: Measure around the fullest part of the hips. 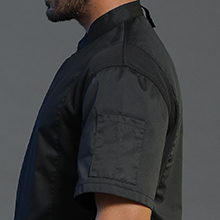 ** Inseam: Measure from the base of the crotch to the bottom end of your pants. Or select a pair of pants that fits you well and measure along the inside leg seam from the crotch to the bottom of the hem. 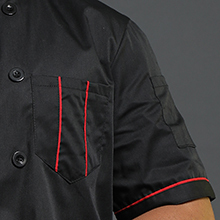 65/35 Poly/Cotton Fabric is breathable and gives you full range of motion. 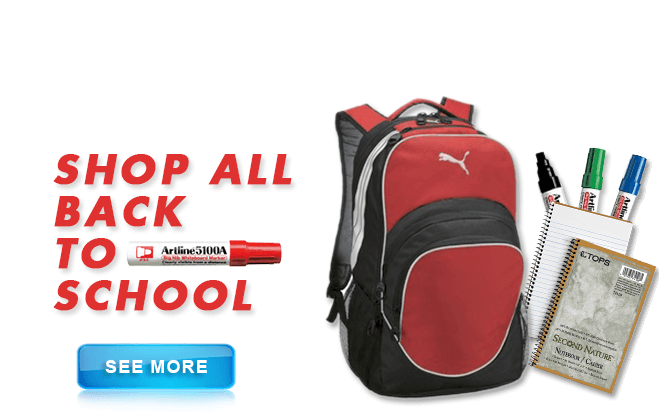 Thermometer pocket Keep tools like pens and thermometers close. Didnt expect so much red on the back. Wish they had some images that showed that. I loved them! 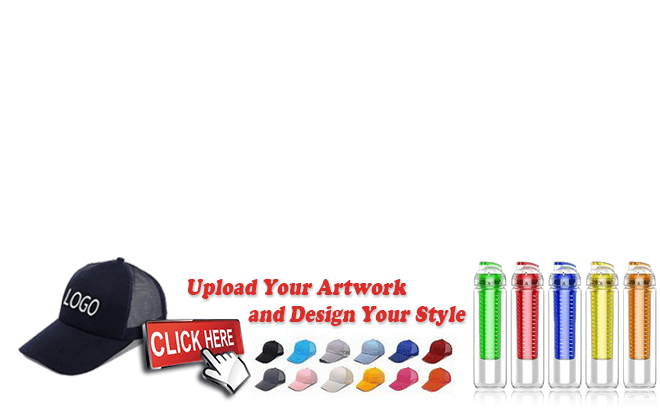 All, color design and the price too! The only thing and issue I had was! I got my orer late. Everything else, is fine. That is why I decide to keep them! 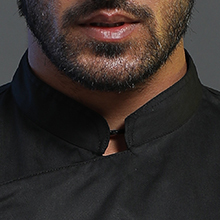 Instead to return.